In my previous post, we looked at the concept of a Smart Building, identifying certain key aspects of its design and operation expectations. 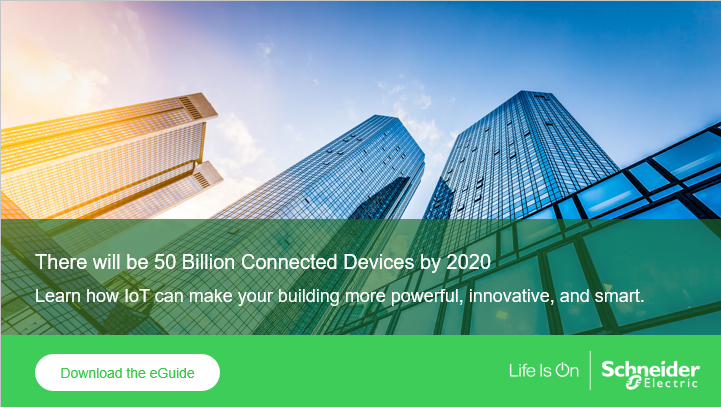 In this post, we will be discussing Smart Building strategies and understand how you can leverage IoT in your facility. Sensors are data mines, enabling the building to start producing the raw information needed to be ‘Smart’. By 2020 there will be an estimated 1.3bn IoT sensors deployed worldwide, a 78.8% increase from 20151. We’ve come a long way from just thermostats and motion detectors. Motion detectors are combined with occupancy sensors to ascertain how many people are in a room. More complex devices can provide information about the air quality, temperature, ambient noise and many other comfort conditions – all in one device2. However, it is what one does with the data that really makes a building smart. IoT enables a wealth of data to be collected from disparate devices, that may be used locally for accurate control of the environment, but also remotely processed to provide actionable insights. Figure 1. 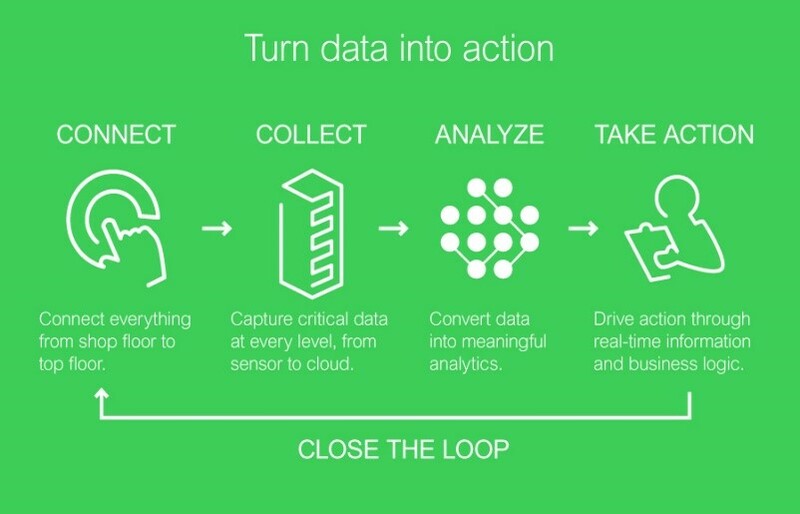 Connectivity of data supports real-time decision making. A Digital Twin is a digital replica of a building’s physical infrastructure, processes, and systems. It is not to be confused with BIM, which in fact is a key enabler for twinning. Digital Twins take BIM a step forward through real-time data, obtained largely through sensors, to not only analyse performance, but also employ predictive analytics, test future scenarios, and ultimately overhaul planned maintenance philosophies. Digital Twins are an evolution of Smart Buildings that cannot be stopped. The reality, however, is that a clear majority of the industry is still struggling with digitization. The intermediate solution, therefore, would be to prepare the building for such a future by ensuring that the IT infrastructure is in place, and deploying sensors to start communicating with crucial systems to enable condition-based monitoring. Maintenance philosophies are evolving – we are in an era where your system can diagnose its assets and alert you of impending issues far in advance. Evolution of Neural Networks has enabled systems to learn from past patterns of operation and failure, and predict future occurrences, enabling facility managers and operators to optimize their maintenance costs through Condition-Based Monitoring and Diagnosis. Sensors remain the fundamental blocks of this technology, and capturing continuous operation data enables both actionable insights, and continuous improvement of the technology. Utilization of the Cloud to store this data enables cloud-based-services such as Software-as-a-Service (SaaS), which add a further layer of dynamism in data analytics, also enabling more economical subscription models for Predictive Maintenance programs. These services can further be completely managed by the service provider (MSaaS) to provide total peace of mind to the end user. In preparing for the digital present and future, building owners are wise to begin with a Digital Strategy for their estate. Often this strategy begins with an Intelligent Building Management System (iBMS). Systems employing Open Protocols enable easier integration of disparate building systems such as their HVAC, along with lighting controls, fire and security, and importantly the Power distribution and IT networks. Efficiency gains are achievable not only through the simpler operation one visualization gives to the user, but also though the collection of common data, processing, and sharing, enabling a gradual digitization of the building. Decentralization of Electrical Distribution and evolution of the mesh grid also brings in the need for similar digitization of the Power System. By adopting a model of IoT-enabled connected products, sitting underneath a Software Layer providing control and analytics, building operators can realize a more efficient, resilient, and sustainable building system. Digitization will enable dynamic interactions between the building and the power system to deliver stronger control capability in an increasingly complex operating environment. One of the main challenges for digitization is the extremely high average age of buildings today. How can we plan for an economically sustainable digitization journey, while keeping up with the pace of technological advancements? My next blog will analyse this journey for the transition of older facilities, and future-proofing of new facilities. Datz, T. (2016). Green office environments linked with higher cognitive function scores. Harvard: Harvard T.H. Chan School of Public Health. Deloitte . (2016). Smart Buildings: How IoT aims to add value for real estate companies. Deloitte Centre for Financial Services.